UPDATE 11/12: Reports of the mini update hitting devices and allowing players back in til the main one is pushed. So please check your devices to see if you can get back in the game now. Hey there Clammers. Bouncing on by due to I know a lot of your are still anxiously awaiting to play the game. This is the latest update we received on the “getPlayArea” glitch that hit players. It seems this error occurred when players had stored their main Characters into their Inventory. Ones required to trigger main questlines, like Peter. So please DO NOT STORE MAIN CHARACTERS (the Nuke option will not store them). I would actually suggest one step further and say do not store a single one at all. At least not until this is all patched and fixed. We would hate to see anymore players locked out of their games. In the meantime, two things are happening. TinyCo is working on a short term temporary fix to help pull the stored characters out of your Inventory and back into your game, once again allowing you to play your game. This is priority and they are working to push it out as quickly as they can. They are also working on a long term game wide permanent patch that will help prevent the issue from happening again in the future. This will be the a 1.4.5 Update. So hang in there. No more need to email in as help is on its way. I know it is tormenting not being able to play, especially for us Addicts. Give them time, a fix is coming. 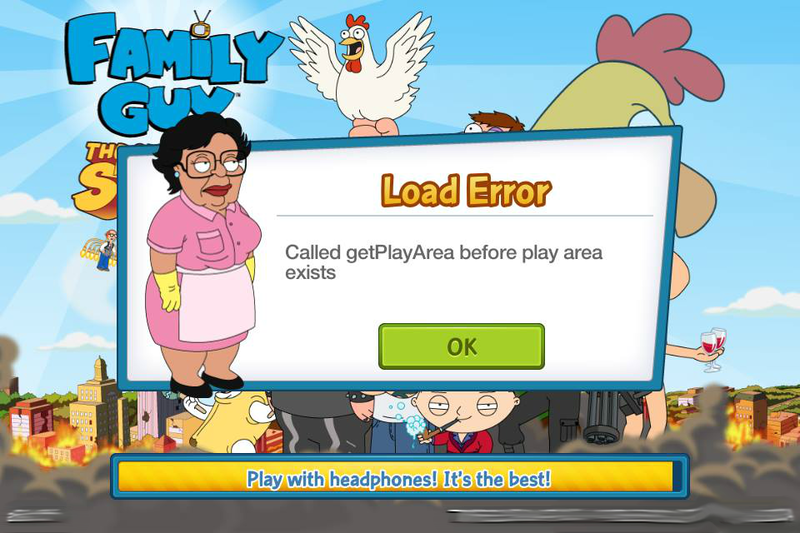 This entry was posted in Glitch and tagged American Dad Event Tips, American Dad Family Guy Event, Can't Get In Game, Family Guy Addicts The Quest For Stuff, Get Play Area Glitch Message, Load Error, Troubleshooting. Bookmark the permalink. Hi there, I have this issue and have never stored any of my characters. Curious to know if anyone else is in the same boat. I’ve emailed tinyco but no response yet. Did you place those broken cars out of Inventory? Did you email TinyCo these last few days? If not, do so. Did you try all basic troubleshooting? Make sure you are on the most up to date version in the app market? Vinnie keeps popping back out of storage, and now I don’t have the option to store him at all. I’m assuming that it probably has something to do with the “Storing Main Characters” glitch, but figured I’d at least ask/comment about it in here. Does anyone know when the iOS update 1.4.5 is? Not til they are done with it. For now, the mini patch is in place. That sounds like another issue completely. You may want to have them look into it. The patch coming is for something else. Hi Bunny, are they still working on the Carl problem from Android? He is still not showing up. Lol. It is ok. No worries. There again I have to ask…email? Which one? Help@tinyco.com? If not that one, than not sure where your emails went. The best two ways always to get issues to the techs are first…directly via your in game messaging options. It goes right to them and automatically has ALL your game info attached. Makes a find and fix so much easier. They can also message right back in there too when they get to you. Email second only if you can’t get in your game. When doing so you need to attach pics and as much details as possible to the issue as well as your Player ID so they can locate your game (no info attached on an email) and start to find issue to fix it. Give them at least 3 business days to respond. If no word after a week, send a follow up on same email or message chain if possible. Reply to any emails sent back. Even auto replies. Is it safe to store characters yet? Thanks y’all’s. Thank you. Thank you. Thank you. I know that you have helped us get our game back. You deserve a lot of the credit for TinyCo fixing this problem. P.S. Is it sad how filled with joy I am over this? I mean, really! Awwwwww…Well it makes me happy to know you all are back in your games now. I don’t like when people cant play and have fun. Would you still recommend not storing characters, main or otherwise? Thanks for y’all’s help. When I store them and quit the game, they’re all back in town anyway when I restart. Thanks!! I think it is the fail safe they pushed to make sure no issues til they get a main patch pushed. Cool, I figured. Thanks for quick response, as always!!! Looks like the patch was just pushed!! I can get into my game now!! That’s what I like to hear? Because you watched them all and there are no more videos to watch at this time. It is just a random thing. Why can I only visit about half of my friends per day? This has been going on for almost a week. Once I visit 20 friends’ towns, the rest of them reset to show that I have 10-11 hours before I can collect coins. I have always done all the towns at the same time, so now I’m getting screwed out of coins and clams every day. What troubleshooting have you tried? Did you contact TinyCo on the matter through your game yet so they can look into it? I contacted TC thru the in-game messaging. I’ve had no response in 3 days. It is normal to take at least 3 days just to get to you. Give them til the end of week then follow up if still nothing. Frankly, 5+ days of not being able to play is a great way to break any addiction or interest in a game. Kinda ridiculous. Like something you would put on a tshirt. My ghostbuster peter was in the middle of zapping a terror dog when the halloween event ended. he is still stuck on that same terror dog now! (with a tick above his head). Whenever i click him the whole game just closes down. have tried everything i can think of! The rest of the game seems to work fine. Yes. Please report it to them. Will they extend the american dad event so we will be able to have a fair chance to enjoy the event as those that started it on time? Right now it all comes down to how fast they fix it. This is not a major event and really easy n slow pace. No rushing needed on anything so far. I am sure the thoughts of people missing out is on their minds. They want to first get you back in the game. Then monitor from there. Did you get the pop up for it? Did you check your inventory? Outside of that, you would need to contact TinyCo. All I can suggest is contact them again through your in game menu messaging. They are the only ones with the ability to look into it further. Sorry. Did you get the pop up though that you won it? How did you message them? In your game? Or somewhere else? WTF I get this error when I just have roger timed challenge started, hope they restart my roger timer, very frustrating if I cant get roger because of this stupid error! Just communicate with them your concerns. If you are on Android, he won’t right now. That area is not for use right now. Just think of it as this way…Do not store Peter, Joe, Quagmire, Lois, Chris…those are the main ones in the game. I honestly would wait on any District Characters. If you have event characters like from Comic Con or Halloween, those should be fine. The cleared area on mine has disappeared. Is it another glitch, or was the cleared area a glitch to begin with? Also, will there be more land available soon? Not necessarily districts, but just land in general. I mean, there is still Roger, Hayley, Steve and Francine to unlock in this event, and odds are that Steve, Hayley and Francine will all come with buildings. So if we have no more land, where are we meant to put these buildings? The area was never for use yet in the first place. It confused too many players seeing it open, so they put the trees back til it is ready for use. That IS the new land coming. What, that isn’t fair. I play on an iPad Air and because of the zoom issues, I wouldn’t be ba able to use more than half of that land. I dont think this is the same glitch but i was on the 20 hour task to go kitten picken with bruce for shelllabration part 2, when the questline disappeared. Its been a couple days now and i can visit my town but no quests are available i tried contacting tinyco but still no response, is anyone else having this problem or know of a fix? How full is your task menu bar? If it is stuffed full, there will be no room for any new ones to pop up. You will need to clear some out to allow room for more. Peter triggered most the dialog. Try sending him on a short task to see if it will trigger it. If not, contact them. Any idea when that cleared area will be accessible? First time posting, but my area at the bottom recently disappeared. Well, not really dissapeared, but changed back into trees. What gives? For main patch. They’re trying to get the fast patch out quicker. Ohhh, I’m trying hard not to panic! I don’t want to miss the whole American Dad event. The email I got yesterday made it sound like the 1.4.5 update was going to be the sole solution – told me to email back if I still had this problem after new update released. Not sure how one would know a fast patch or individual fix had been applied? I know this was partly my fault for storing Peter, but it seems like maybe they shouldn’t have *let* me store Peter — like how they don’t let you put Al Harrington’s or the Griffin house into inventory. 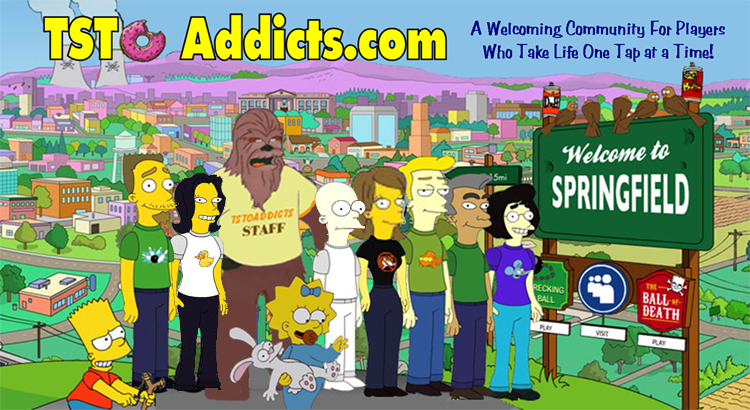 I know, I know, there are real problems in the world and my whining is silly… 🙂 *sigh* I guess I could give the Simpsons game another try, or go back to Candy Crush and its ilk for the next couple weeks. If it wasn’t for the Halloween event stuff, I probably wouldn’t mind just continuing with the new game I started – but the Alien character is too awesome. I’ve been playing on an iPad mini since day one, and have never experienced any glitches except for a couple of crashes which were fixed as soon as I reopened the game. 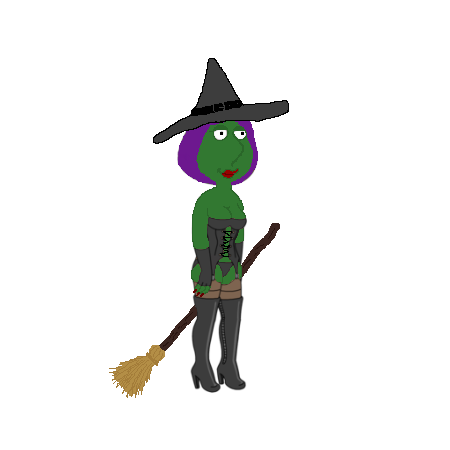 I did store dr Hartman, Seamus, Herbert, Connie, and the celebrities without a hitch or a glitch too. Thanks, Bunny & Alissa. Y’all do an amazing job of keeping people updated. I’ve been playing FG:QFS since it came out and have been able to get every in-game question answered by you two (typically faster than TinyCo!). I realize this isn’t a full time gig for you two, but thank you for all the time you put into it and for keeping all the addicts in the loop. I don’t know if TinyCo pays you, but they should… and if they do, they should double it. Yes! Seconded!! I don’t know what I/we would do without you two angels. 🙂 Thank you for everything! He still takes the 4 hours to spawn and you can still clear him. Info in the post on him. For some reason I didn’t get the glitch. Oh well! Thanks for the update Bunny! Did TC happen to mention when the short term fix would be deployed? They didn’t…just that they want to push it ASAP.